During my National Youth Service, I was called to interview for a graduate trainee position at one of the Big Four accounting firms. With three interviews gone and one left, I was sure I would get the job. All I could think of was that there would be no job-hunting after NYSC. I would basically pass out from the service year and in three to four years, marry the love of my life whom I met months earlier in camp. But sometime in July, after that third interview, I stopped hearing from the company. A month passed, three months, and the new batch of trainees resumed. I contacted the company’s HR team and was told that a document I submitted to the last interviewer never got to them. Fam, that was how my dream of being a ‘worker’ before the end of NYSC disappeared. And my relationship? Well, that ended soon after. And the next three years were spent working at one-penny jobs and applying to all the companies in Nigeria. Way to go, Fates! So that’s why I could so easily connect with several experiences in 29, Single and Nigerian by NaijaSingleGirl. From the NYSC tales of struggle to the experiences of Edikan, a girl from a poor background who strives to better her life. Her childhood years play out from a wicked aunt’s house where she doesn’t have the best of times. Many bowls of salted garri later, Edikan goes to Lagos in search of greener pastures. At first, she lives by first rule of freshly minted graduates: only apply to jobs you want. Heaven forbid that these top performers work in customer service when they studied engineering. However, as her savings dwindle, reality dawns and she soon joins other veteran job seekers in casting their nets in Lekki and Makoko waters alike. This is not the picture of author o! She is anonymous, we just wanted to put something here. 29 isn’t the age where most societies expect you to be single. I’m a few years shy of thirty (please stop guessing my age and focus) and I’m already feeling the pressure. It’s worse if you aren’t wealthy and can at least give an excuse that you spent your time hustling instead of looking for a husband. Well, the truth is that no one cares. Parents and relatives will set you up on blind dates; you’ll get asked, blatantly, if you don’t want children before your eggs turn to dust. If your parents are anything like Edikan’s, you’ll arrive home one day to find a scraggly young man with polka-dotted shoes and an orange bow-tie. “This is Ndufreke,” your mother will say. “He will make a good husband and buy us a gas cooker, too.” Welcome to the wonderful world of being twenty-something, jobless (or underemployed) and single! Here, have a tag. While reading, I re-lived my life through Edikan’s story. From her experience at the National Youth Service camp, to the time where she almost got raped at a friend’s house, I felt her shadow fill my room. The great thing is that this book isn’t all a sob story. Things actually worked out for Edikan in the end. Post dating a “Lagos Big Boy” and using YouTube to take driving lessons for a job interview, her life becomes the testimony most graduates pray for. I love this book because it explores the “Nigerian dream” and the reality most people face after university. With many graduates venturing into entrepreneurship and the other half fleeing to “better” countries, most Nigerian youths are working hard to avoid living the Nigerian dream nightmare. I’d recommend this book to anyone who’s ever experienced NYSC, been single for an extended time or sent in more than ten job applications in a single month. Yup, I know I just described most Nigerians but NaijaSingleGirl’s 29, Single and Nigerian is that good. Want to know why I’m obsessed with this book? 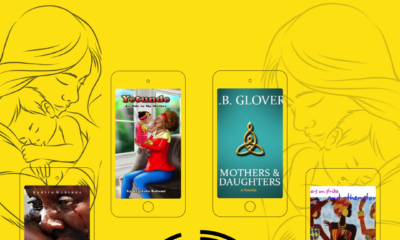 Then grab your copy from the Okadabooks app now… download the free reading app from here and then select the book from the store and you will be reading the book in less than 5 minutes. PS: If you’re wondering what the author’s real name is, no one really knows. 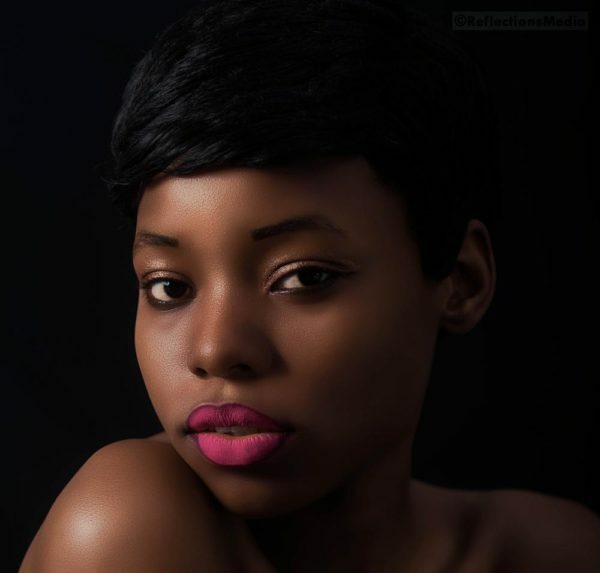 She writes anonymously and has the most amazing blog: NaijaSingleGirl. Need some humor in your life? Go there. 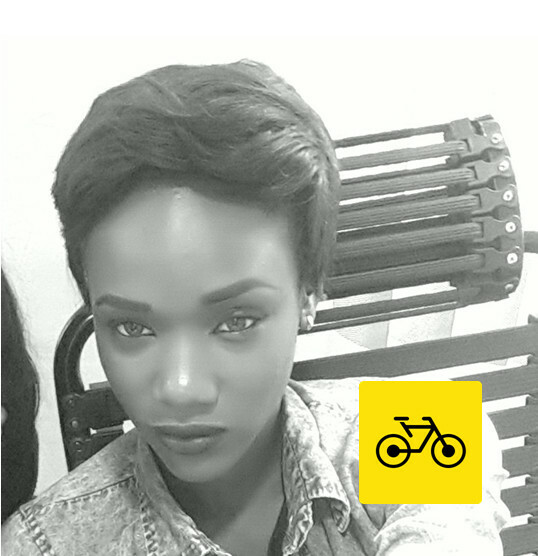 Chiamaka Onu-Okpara is a freelance editor with an absolute love for anything weird. When she isn’t wading through punctuation errors, she binge-watches cartoons and writes speculative fiction. I tried to buy the eBook on ocadabooks yesterday but I kept getting an error reply stating “extra charges” or something of sort as cause. I’m sad? 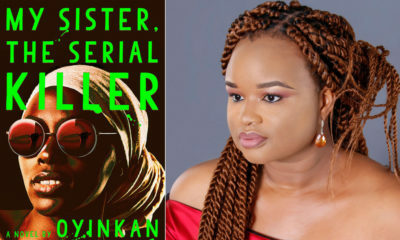 Dear Chiamaka Onu-Okpara, you write so so well,………. you make it real and relatable. You always make me wanna run and get whichever book you review. I got the job I really wanted 6 months after NYSC, left 4 years later and now I’m praying with all my might I get employed in GE. Product manager or regional marketing manager will be fine. If y’all know anything, hook a sister up. Just turned 27 and I hope to be married by 28. I’m single on but I have this crush on one fiiiine Hausa boy like that. People say I’m tribalistic when it comes to marriage so for me to be crushing on a northerner means it real love shey. I love love love NSG. I’m so jealous of the way she writes, like, you just have to laugh. LOL. I will buy this book, I may not get the time to read it anytime soon but this rare kind of talent deserves our support.
? ?fantastic write up. Hello my name is EKPO into creative and digital marketing/agency In abuja & im looking for peers and friends(everyone welcome but have something to offer) who are interested in growing/collaborating and partnering to grow personal and commercial brands together. Believe me people u don’t need an office work no more. Let’s create together. I just want to meet great and handworking souls in Abuja.most of these people are in lag. NSG is a great writer per excellence. Her sense of humor is wonderful. I could get lost on her blog anyway when I want to….her blog has been a stress reliever. Her book is so relatable and the writing I just beautiful. Always looking forward to your writing ups, so explicable. Kudos! Yaaay NSG for the win! Y’all have to read this book..it’s an amazing piece. Very relatable and extremely hilarious. Read it 3 times and each time, I laughed like I was reading for the first time. You will not put it down till you are done and when you are done, you’d wish the book didn’t end. I will recommend this book anytime any day. God bless your hustle NSG! Omg I read this book all through monday night. Brilliant read save for few errors. To think that I never heard of the author until the book on okadabooks made me question what i have been doing with my data all my life. I have been hooked to her blog like white on rice. NSG is an amazing writer who makes you smile on a bad day. I wish her well and hope she finds happiness. For us on her blog/website, she is our internet hero. Holla! Excellent review. It really does portray what the book is about. I got this book in may and didn’t get to read it till august cause everyone thatstarts reading refuses to drop it back. I finally read it in august n i was through in 2days, which was highly unlike me (on average, it takes me weeks to finish a book). Hurry and get this book guys i can guarantee you’d love it. U can also join the NSG family by following her on Instagram @naijasinglegirl. 29NSG is not one of those fiction novels you stumble on daily. 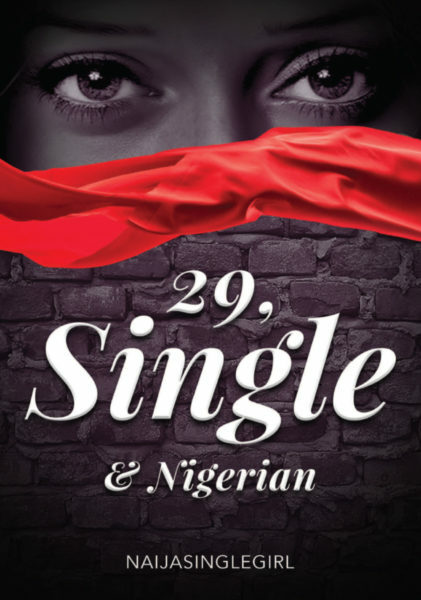 29NSG is one which chronicles the lives of the Nigerian Single Girl(s) in a fictional approach but which in real-life sense is what the society has subjected them to. I first came across 29NSG on Nairaland (who said good things doesn’t come out from there ) and immediately I connected with her style of writing and above all the humor in every post of her daily encounters ….most would get you rolling down laughing out loud, others would keep you in suspense with your heart in our mouth ….while some encounters would bring you to tears! 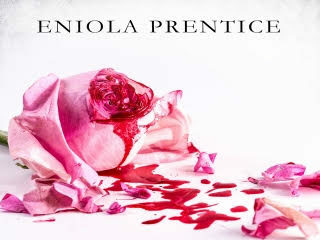 If you’ve got a young sister, daughter, niece or girlfriend, you would definitely want to buy this book not for her alone but for yourself so you can appreciate what may lie in store for them if you’re not a Dangote, Adenuga or Mark Zuckerberg (Bill Gates is old money naaaa so I won’t mention him). I wish an NGO(s) interested in the well being of the girl child seize this opportunity to get this book out to many girls out there ….they need to know that its not all rosy out there for them. They do not need to scramble all around for men to give them their lives but rather looking in wards, they can discover that special gift God gave everyone and work to develop it more …29NSG did just that. She took stock of her encounters and heart wrenching travails and made it into a book! You reading this can make it …Never give up ….read 29NSG today and gift someone dear to you a copy! Really? Try and make it believable na. your fans are behind you. Loved the review. Beht all these “paid-sounding” commenters following you around every post though….If you know them, please call them off – you don’t need this mess: your work speaks well enough for itself. You’re so right. Seems like one person commenting in 20 slots. Very irritating and culpable in driving readership away from said blog/book. When strange commenters comment in the exact same way and none of the usual suspects comment? Then something fishy is going on. Rubbish! Hi. How are you trying to access the platform? your mobile phone or laptop? Bunmi sorry o. No vex, please send an email to [email protected] and we will resolve asap. 9ce review, though i have not read the book but i have started downloading the app so that i can . NaijaSingleGirl is one hell of a lady with a unique sense of humour, if u have ever been to her blog NaijaSingleGirl.com you will agree. i bet you will laugh so hard with your ribs in your hands before you finish reading the first few posts. go girl! the sky is just ur platform for shooting higher! I can relate. I’ve found 30 to be soo much better than 29! I was 30 and single and the sky did not fall. Infact,It was such a relief compared to 29 when I felt pressured (mostly by myself) to achieve the marriage milestone before 30. Now that I clearly can not achieve that before 30 i have been able to focus on other important things. Nice review. I can totally relate, being 30 Plus and single. I’m proud of you mama! Way to go NSG….we love you.